It’s almost impossible to believe, but this image of Neptune was not taken by a spacecraft near the giant planet. It was instead taken by a telescope right here on Earth. The amazing picture was snapped with the MUSE (Multi Unit Spectroscopic Explorer) instrument on the Very Large Telescope (VLT) in Chile. The instrument was recently upgraded with a new way to see space called laser tomography, and its already showing its impressive capabilities. Neptune, at an average distance of 4.5 billion kilometers (2.8 billion miles) from Earth, is pretty tricky to see from Earth. Our best views come from the Voyager 2 spacecraft, which flew past in 1989, followed by the Hubble Space Telescope, which can get decent images from Earth orbit. But according to the European Southern Observatory (ESO), which runs the VLT, these new images from MUSE surpass that of Hubble. And they say the technique they’ve used here could be used for a whole lot of other things apart from imaging the most distant planet in our Solar System. “It will enable astronomers to study in unprecedented detail fascinating objects such as supermassive black holes at the centres of distant galaxies, jets from young stars, globular clusters, supernovae, planets and their satellites in the Solar System and much more,” they said. 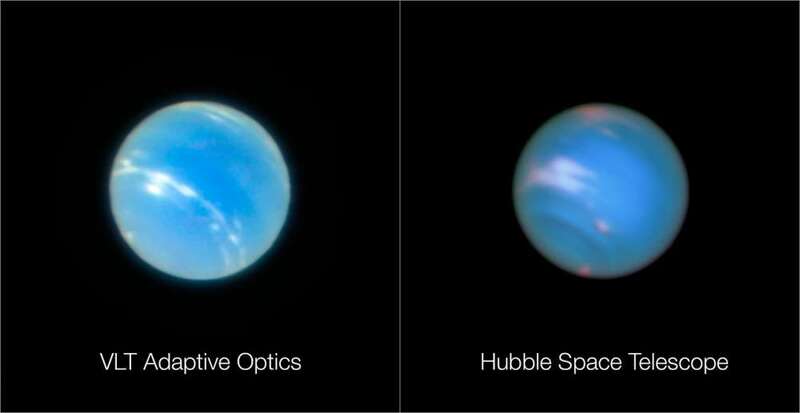 The image has been made possible using adaptive optics. As light comes through our atmosphere it gets scattered, which is why stars twinkle when you look at them. To overcome this, the VLT, which consists of four telescopes high in the Atacama Desert, fires four lasers into the sky. It then looks at how blurry these lasers are to work out the “blurriness level” (yes I just coined that) at various altitudes. An algorithm is then used, as part of an adaptive optics unit called GALACSI, to produce the final image. This can either be a super refined image of an object like a planet, known as narrow-field mode, or a wide-field mode image that looks at a larger area of the sky but is less sharp. Another image was released of a distant globular star cluster showing this in action. The ESO are hoping to use this technology on their upcoming Extremely Large Telescope (ELT), in order to get some awesome images of space. 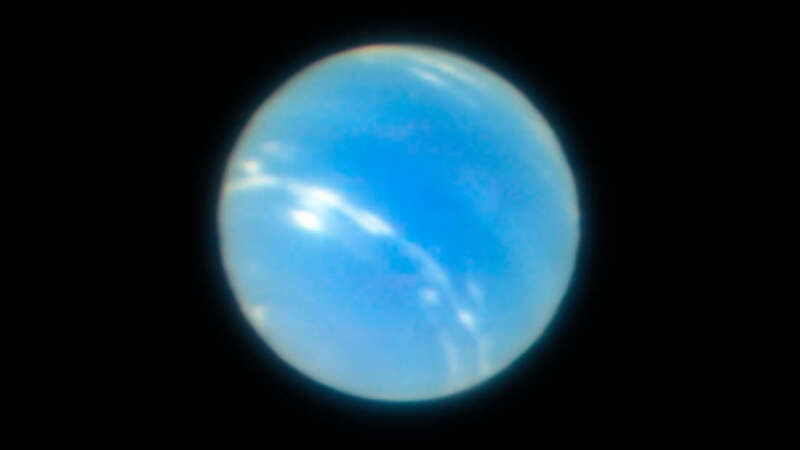 For now, we’ve just got a rather incredible image of Neptune. And hey, we’re not complaining.